UK house prices ended 2016 up 7.2% despite London house prices weakness that according to the Nationwide increased by an average of just 3.7%, near half the UK rate. This illustrates why so many housing market analyst / journalists got UK house prices so badly wrong for 2016 as they mistakenly latched onto London weakness as a sign for a imminent UK house prices bear market or worse a BrExit CRASH. After all the consensus view was that if London was weak then the rest of the UK would be suffer far worse. 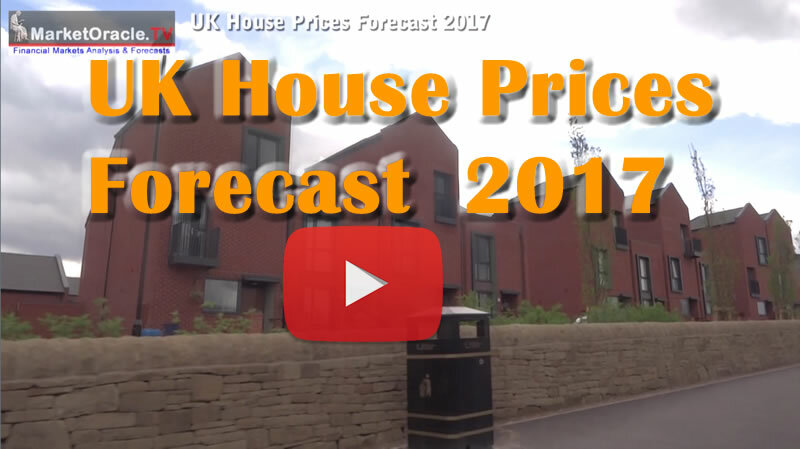 Watch my latest video for my forecast expectations for UK house prices for 2017. Hi Nadeem, when do you anticipate your US House Prices 2017 and new mult-year forecasts to be completed? Thank you for the continued analysis. The most accurate of anything I've read and for many years now!